Great news! 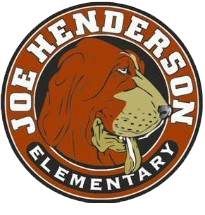 Breakfast will now be served at Joe Henderson Elementary at 8:15 a.m. If your child qualifies for free lunch, he/she may receive a free breakfast. If not, breakfast is $2.00 each for all other students. Breakfast eaters will enter through the front office, go to the MPR to eat breakfast, then walk directly to their lines/classrooms. The MPR will only be open to those eating school breakfast at 8:15.